1. Monday, Oct. 29, 2018; 2-3:30 pm PDT (4-5:30 pm CDT, 5-6:30 pm EDT): We welcome Dr. Kirsten Siebach from Rice University to discuss her Mars work. 2. Tuesday, Oct.30, 2018: 7-8:30 pm PDT; 9-10:30 pm CDT; 10-11:30 pm EDT: We welcome Dean Cheng on the idea of a U.S. Space Force. 3. Wednesday, Oct. 31, 2018: Hotel Mars. See Upcoming Show Menu and the website newsletter for details. Hotel Mars is pre-recorded by John Batchelor. It is archived on The Space Show site after John posts it on his website. 4. Friday, Nov. 2, 2018; 9:30 AM-11 pm PDT, (12:30 -2 pm EDT; 11:30 am -1 pm CDT. 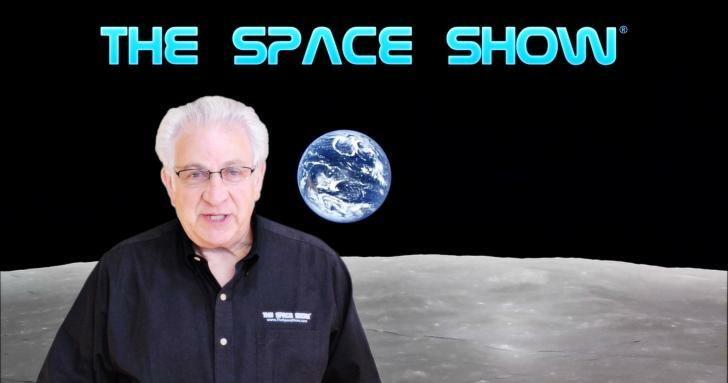 We welcome back Dr. Marc Rayman on the closing of the Dawn Mission and Ceres updates. 5. The Sunday, Nov. 4, 2018 program from 12-1:30 pm PDT, (3-4:30 pm EDT, 2-3:30 pm CDT): We welcome space artist Doug Forrest. See his Apollo Arts gallery. Fri, 10/26/2018 – Dr. Thomas Matula discussed “commercial space trends, spaceports throughout the US and the need for commercial space business parks”. Tue, 10/23/2018 – 19:00 –William Ketchum talked about his “book, “To The Moon On A Slide Rule,” early ICBM and rocket history, early space program, Surveyor missions, lunar surface, nuclear propulsion, NASA, SLS, Gateway and much more”.